For a few years now, a strange Nightmare, accompanied by a support fleet terrorizes the Eden cluster on the midnight hour of 30 October. At the helm is the Mad Capsuleer Tyen, who wants to bathe the starlanes in blood and burn the galaxy in a quest to silence the voices in his own mind. Only by the combined effort of capsuleers has the Nightmare threat been stopped in the past years. Can we do this once again this year? As a way for capsuleers to challenge his Halloween Nightmare, Tyen had announced his arrival in the Ouelletta system in advance, allowing everyone ample time to prepare. Arriving just 10 minutes before the Halloween Nightmare's arrival, I discovered a quiet system, just 8 others in local with me. There was no sign at all of any imminent disruption or chaos. Then as the bell tolls at the midnight hour, a cynosural field opens! And through it, a majestic and powerful fleet jumps in the system! It's a combined force of Shadow Cartel, Cynosural Field Theory, Suddenly Spaceships, Goonswarm and Black Omega Security, backed up by Archon carriers flown by Northern Coalition / Black Legion! They'll be referred further as the Unity Fleet. Then an announcement sounded over local, Tyen taunted the capsuleers present to meet him in battle at the Jufvitte gate! His overconfidence to announce his location towards over a hundred capsuleers did spark caution among those present, expecting a trap just waiting to be sprung! To stand together, now and forever! Then all of a sudden, the wait ended, the Unity Fleet descended upon the Nightmare, a hundred ships strong. The Nightmare immediately fired up its engines, attempting to reach an optimal distance from the fleet in order to rain death & destruction upon them! Dirt Nap Squad however was overwhelmed and lost much of it's offensive power as their Hurricanes were demolished under concentrated Unity firepower. After taking care of most of the Dirt Nap Squad threat, the Unity battleships pursued the Halloween Nightmare, covered by the smaller ships in their fleet. The Archons stayed in the back, serving as mobile repair platforms for those in need. Meanwhile, the Dirt Nap Squad fleet kept the Nightmare going, nullifying almost all damage done to this insidious ship! As the battle between the Halloween Nightmare and Unity was in full swing, a contender arrived! 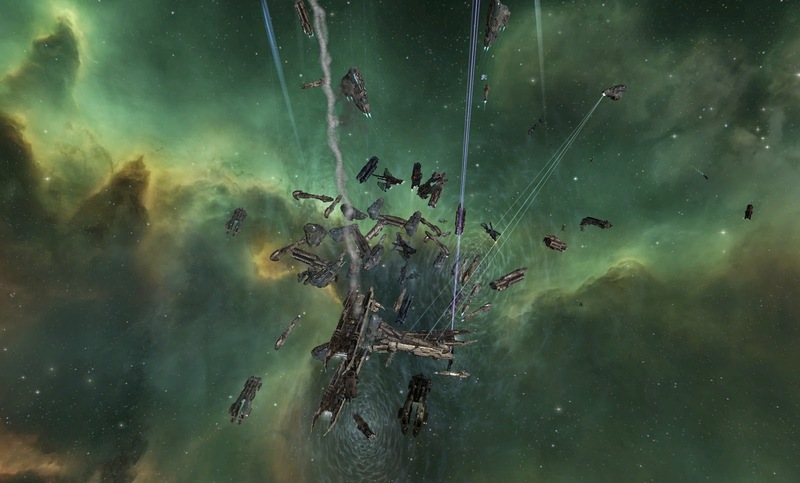 A small fleet of PL Ishtars and other ships landed on grid & proceeded to attack the Unity fleet! But under the guidance of their FC, Unity reacted swiftly, refocusing their firepower on the new arrivals. Unable to do much against this powerful force, PL withdrawn after suffering heavy losses, but not before they demolished a Goonswarm battleship. Now that the Unity Fleet had established dominance, the rest of the battle would be uneventful. Dirt Nap Squad did their best to keep their master, the Mad Capsuleer Tyen, alive in his Nightmare, but one by one they feel to the might of Unity. At the end, it was just a handful of logistic ships, trying their best to keep the Nightmare alive, but to no avail. As Unity focused the firepower of their fleet on the Nightmare, it exploded in a bright fiery blaze of glory. And with that, the threat to New Eden was silenced, and celebrations could commence! But silently it was known that this peace would only last for a year.... Tyen would return next year, as always, on Halloween.... to renew his threat to terrorize the cluster! The Unity fleet's presence assured that all the others remained mostly out of sight, save a few small but futile engagements made against them. Unity Fleet was composed of several powerblocs from Lowsec & Nullsec, these being: Cynosural Field Theory, Shadow Cartel, Suddenly Spaceships, Goonswarm and Black Omega security in sub-capitals. 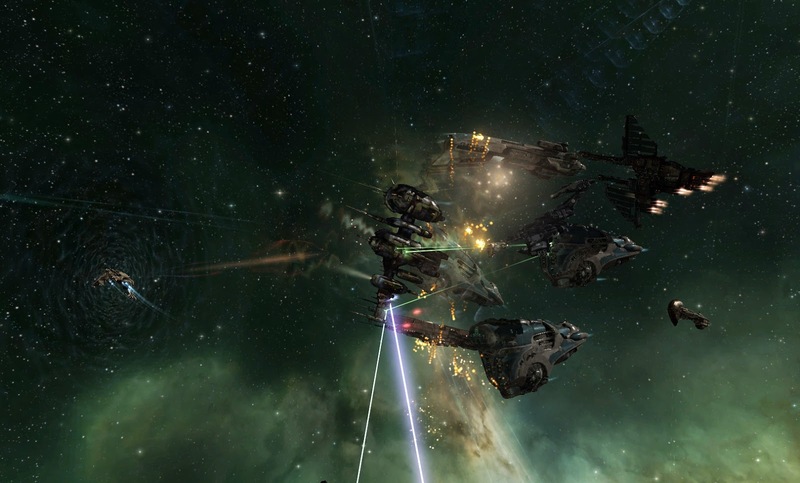 The Archons supported the fleet were flown by Black Legion and Northern Coalition. This amount of political power combined made any other capsuleer force wary to challenge their dominance against the Nightmare fleet. Only PL challenged them directly, but with a surprisingly small force, only composed of cruisers. The Halloween Nightmare itself stayed alive for a good long time, as initially, nobody wanted to take initiative, waiting what the others would do. But eventually, it was brought down by the combined force of the Unity fleet. The first image shows the Titan who provides the Jumpbridge for the fleet to the Ouelletta system.